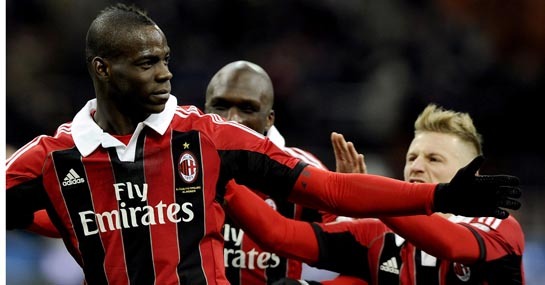 With AC Milan making it clear they are willing to listen to offers for the services of Mario Balotelli odds of 1/4 with Ladbrokes that he stays at the San Siro could be misguided. First it was Arsenal who appeared to have a deal wrapped up for the Italian striker but more recently it has been the likes of Liverpool, Galatsaray and Monaco battling for his signature. Reports of a reunion with former Inter boss Jose Mourinho at Chelsea have also been in the press but with nothing coming to fruition so far, the former Manchester City man is heading on a pre-season tour of the United States with the Rossoneri. But with plenty of time still left in the summer transfer window Balotelli’s future is far from settled and he could still be heading for the Milan exit door. New Galatasaray boss Cesare Prandelli has wasted no time in making Balotelli his main transfer target of the summer. The former Italy boss is a huge admirer of the Italian international from their time working together in the Azzurri camp and is willing to cash in on Wesley Sneijder to raise funds in pursuit of the Rossoneri star. Brendan Rodgers has a sizeable transfer kitty burning a hole in his pocket after the sale of Luis Suarez to Barcelona and Balotelli is reported to be on top of his list of targets. It is no secret the Reds are looking to strengthen their forward options and the former Manchester City striker, who could be available for a cut-price £14m, fits the bill. With speculation mounting regarding the futures of World Cup superstar James Rodriguez and his Colombian international team-mate Radamel Falcao, Monaco have drawn up a list of potential replacements with Balotelli right near the top. With money no object for the principality club, Monaco could represent an ideal opportunity for the Italian to score goals in what is considered a weak Ligue 1 and line his pockets! Balotelli endured a fractious relationship with Jose Mourinho during the pair’s time together at Inter but both have revealed they would like to work together again in the future. But is there room for Super Mario at the Bridge? With Diego Costa leading the line next season and Fernando Torres and Romelu Lukaku still on the books probably not, but if either leave for pastures new don’t rule out a Chelsea move for the AC Milan star.